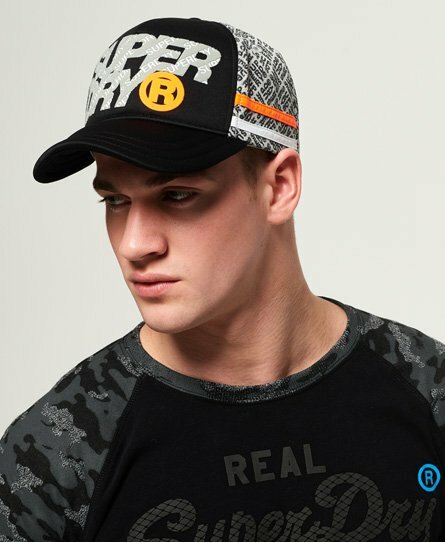 Superdry men's Zac cap. A classic cap with rear snap fastening and Superdry graphic on the front. The Zac cap is completed with stripe detailing on the sides.